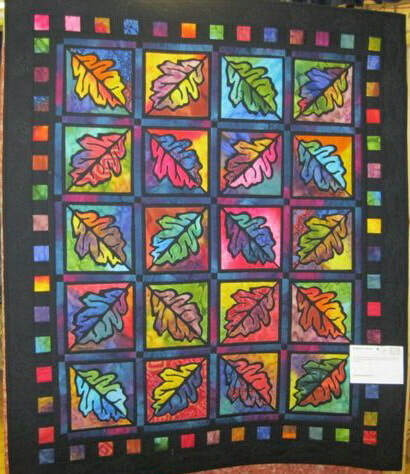 We are a friendly group of sewing enthusiasts based in Cheltenham Gloucestershire. We meet to share our enjoyment of anything and everything to do with needles and thread. 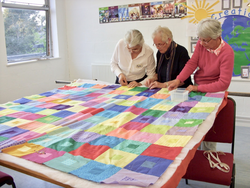 We have about 45 members who have a wide range of interests within textile arts and crafts; everything from patchwork and quilting to embroidery, dyeing and felting all served up with a little knitting, dressmaking and crochet on the side – these last are all optional extras! Some of our members are complete beginners and others have a wealth of knowledge and experience. They are experts in many different aspects of textiles, they tell us about their work and show examples or occasionally photo presentations and also hold daytime workshops throughout the year where we have the benefit of a tutor for a full day. MQ members also share their expertise; it's great to learn from each other. 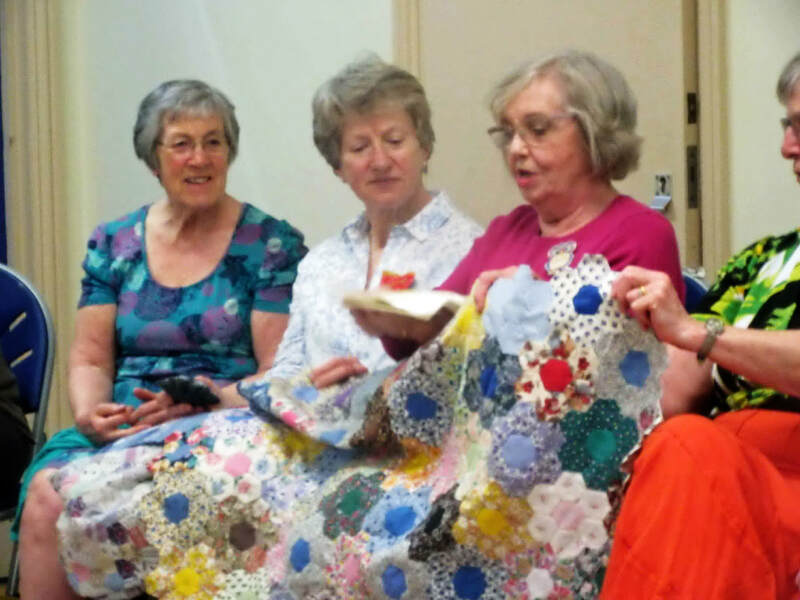 We have also recently introduced informal sewing retreat days where we get together for the day to sew our own projects, to talk and to eat cake. The group is a great opportunity to make friends too. From large bed quilts to tiny miniatures, textile pictures, bags, book covers, Christmas decorations, cushions, clothes, toys; our hobby stretches as far as our imaginations. Do visit our gallery pages on this site and have a look at the wide range of work we produce. Are held on the first and third Thursdays of the month at 7:15pm (for a 7:30 start) to 9:00pm. We also hold workshops and informal sewing days several times in the year. We take a break at Christmas and Easter and we do not meet in August. There is a charge of just £3 per visit and you can attend three times a year without paying membership fees. Do try us out. If you decide to join us there is an annual subscription of £35 with a small discount for members over 70 years. Our meetings are held on the first and third Thursdays of the month at 7:15pm - 9:00pm.